(Natural News) One of the greatest health threats facing the American public has been largely unknown to the average citizen until now, but the release of Biosludged – a new documentary produced by Health Ranger Mike Adams – is about to blow the proverbial lid off a subject that deserves everyone’s attention. The use of treated sewage sludge (euphemistically called “biosolids”) as fertilizer has been widespread in the United States ever since a 1993 EPA ruling authorized the spreading of biosludge on farms, school playgrounds, vegetable gardens, parks and forests. The EPA’s “503 rule” allows “the spreading, spraying, injection, or incorporation of sewage sludge” to the land, including areas where children play and where food is grown, despite the fact that biosludge contains high concentrations of heavy metals, a range of mutagenic and neurotoxic chemicals, drug residues and a host of other toxins classified as “primary pollutants” by the EPA itself. So, how and why did the EPA decide to allow the poisoning of our farms, playgrounds and gardens? According to the agency, biosludge is perfectly safe for use, but the truth is, the EPA faked the safety data on biosolids and destroyed the career of the one man who dared to blow the whistle on the scheme: Dr. David Lewis. Much of the information in Biosludged is based on the work and testimony of Dr. Lewis, who has recently published a book titled Science for Sale: How the US Government Uses Powerful Corporations and Leading Universities to Support Government Policies, Silence Top Scientists, Jeopardize Our Health, and Protect Corporate Profits. The EPA’s “scientific” explanation regarding how a substance containing the “worst of the worst” chemicals could ever be considered safe is laughably unscientific in nature. Generally considered to be the chief author of the EPA’s 503 sludge rule, former career EPA Office of Water chemist, Alan Rubin, was one of those involved in going after whistleblowers like Dr. Lewis. Maybe verbal bulls**t like that shouldn’t be too surprising coming from someone in the business of selling actual toxic s**t to the public, but it’s time for the real story to be told, which the release of Biosludged is bound to accomplish. According to the Health Ranger, city officials receive kickbacks from biosolid companies – another reason this subject has been kept hidden for so long. But thanks to the work of Dr. Lewis and Health Ranger Mike Adams, the story is about to go public in a big way. 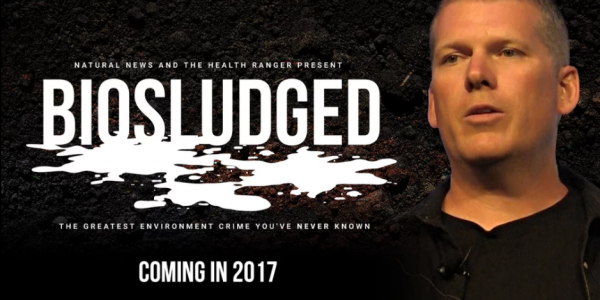 Stay tuned for more information about the 2017 release date of Biosludged, which will be available for free as part of the Health Ranger’s “Censored Science” documentary series.